Just a quick post to shine the spotlight on a must watch interiors trend... fusion furniture. 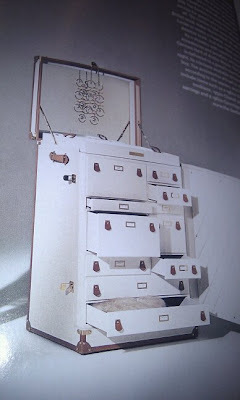 Where old bureau's and chests of drawers are gutted, and up-cycled to create fantastical storage gems! I can't wait to start my own home made fusion furniture project but in the meantime, feast your eyes on this beauty I saw while reading Harper's Bazaar at the hairdressers!